Looks very elegant. 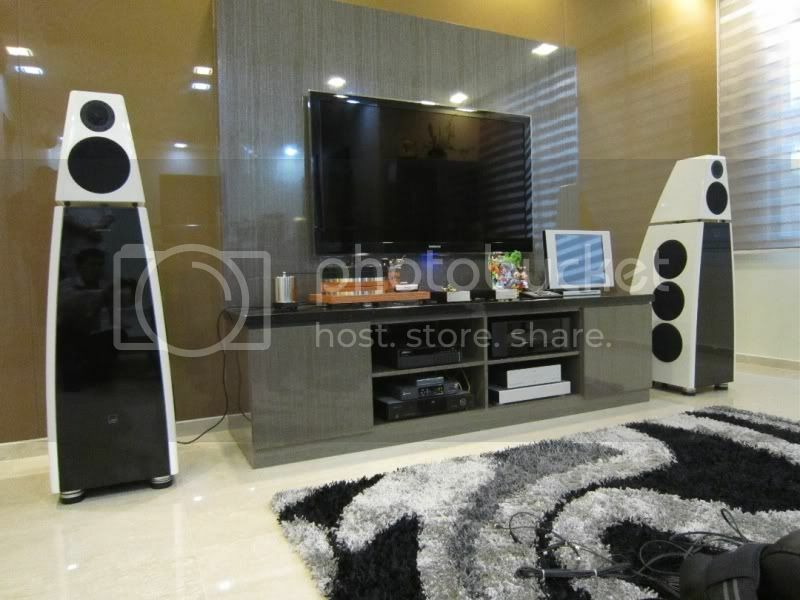 What are the speakers sitting on? Are they better than spikes? Speakers are "sitting" on Meridian own footers (spikes in the middle). Only 3 of them per speaker, 2 in front and one at the rear. Can be "elevated" to desired height or "tilt" forward/backward. Of course to a certain extent only. So did you upgrade to the se? What do you think? I've moved on since. Looking back, sometimes its for the better but for sure, this one move is with a tinge of regret on hindsight. I've also moved out of this home now rented out for some passive income. As Meridian had "killed" Sooloos, it does not make any sense to get the 'se' version anymore. Thank you for responding to my query on a thread 8 years dormant. In your case it wouldn’t have been worth the price for basically a pair of tweeters. Mine are from 2010 so I’m trying to convince myself 10 years is around the time amps are due for a refresh anyhow. Still difficult to justify tho. My sincere apologies for the late reply. Wow that has to go down in AA history as the longest time between a question and a reply Nice hearing from you Jerry. What do you have for a system now ?